Slice baguette into small rounds and use a mandolin to slice beets into super fine rounds. 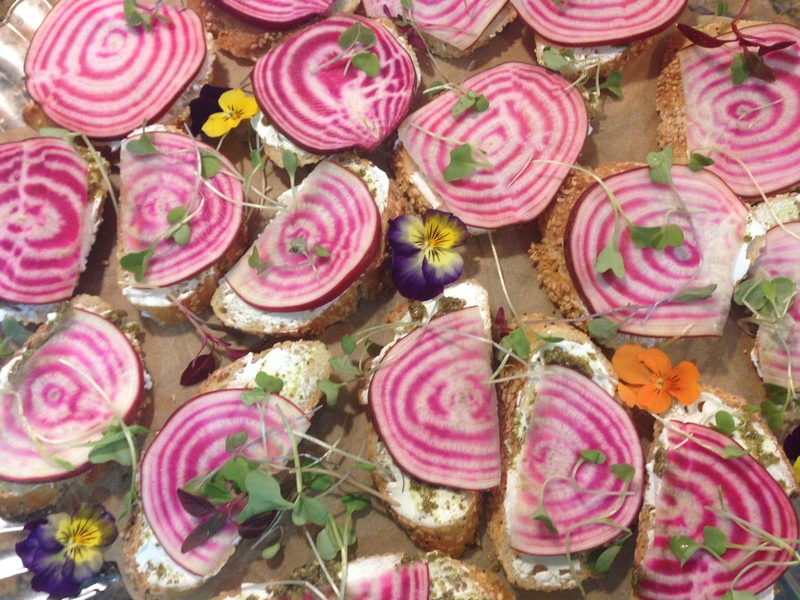 Layer each bread slice with a hearty amount of cream cheese, 1 spoonful of pesto on top and the beet on top of that. Repeat until they're all assembled, then take a picture of your work of art before digging in!